No new fossil fuel development. Pass a fossil fuel moratorium for the Tacoma Tideflats. As a deep water port, the city of Tacoma and Commencement Bay are under threat from development of future fossil fuel facilities. The South Sound chapter is part of a coalition of community groups covering a wide array of interests who support a city council passed moratorium on new fossil fuel development in the Tacoma Tideflats. On November 21st, 2017 the City Council of Tacoma passed interim regulations blocking any new fossil fuel development in the Tacoma Tideflats. This action effectively prohibits any new fossil fuel facilities until a sub-area use plan is finalized in the next 3-5 years. 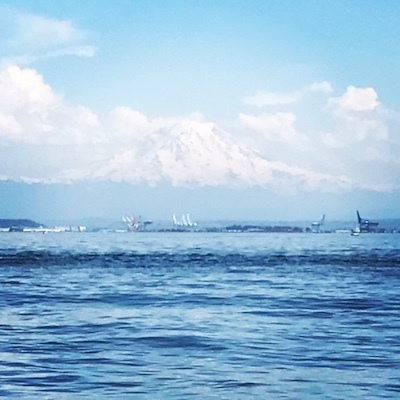 This is a major accomplishment for Washington residents who have been battling fossil fuel development facilities and succeeding, but who now are taking strides toward proactive measures to protect local marine water and reduce climte impacts.